Music Sorb is more than a Piano Humidifier, it is a two-ways Humidity Control System. Music Sorb protects grand and vertical pianos from humidity variations that affect tuning, damage the wood structure, and rust strings. Don’t settle for a mere piano humidifier. To protect your piano from relative humidity changes, you look probably for a piano humidifier or better for a humidity control system for pianos. You will discover that you do not have many choices available on the market. Most of all they are complicated to install (they require a technician), and they need constant vigilance and refills. Music Sorb has a piano-dedicated product, which is more than a piano humidifier, it is first of all a two-way humidity control system. This innovative product allows you to keep the right RH range (45% – 55%) for your piano in the easiest way possible, and addresses all the possible concerns and complaints we have heard from professional piano technician and piano owners. Our product, as opposed to the usual piano humidifiers, lasts minimum a year without any refills, and has no aggressive action on the piano soundboard or other of the piano parts. 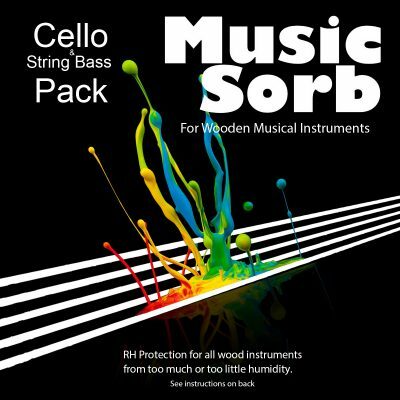 Music Sorb for pianos is able to release moisture in case of dryness as opposed to a desiccant. 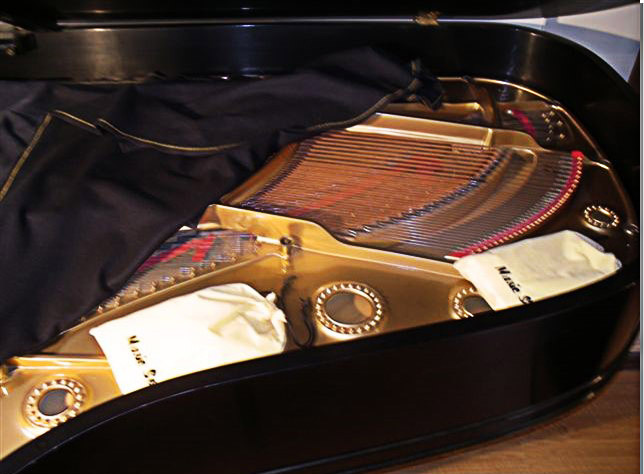 Because of our special silica product, it will never leaks or wets your piano soundboard. What are the Main Advantages of the Music Sorb Advanced Humidity Control System? Protects your piano from both high- and low-humidity. Does not need constant refilling or maintenance. It is dry to the touch even while holding moisture. Nothing to spill. Nothing to damage your piano. It is safe for you and your piano. I purchased Music Sorb from you in September 2013, and installed it (takes at best five seconds!) in my 1877 Steinway concert grand piano, as recommended by Mario Igrec, author of Pianos Inside Out, who is my technician, and who restored my instrument about 25 years ago. As most persons know, this winter has been very severe in the South (I live in south Louisiana). They will work for a year. Never too dry. Never too damp. No chemicals. Protecting your pianos has never been so effective, gentle, and easy! If you purchased pouches, you open the Mylar covering and slip the pouches out. Be sure to write the date of installation on the tag we provide, so you will be sure when it is time to replace it. Finally insert the pouches in the cotton bag and place them in the grand piano. 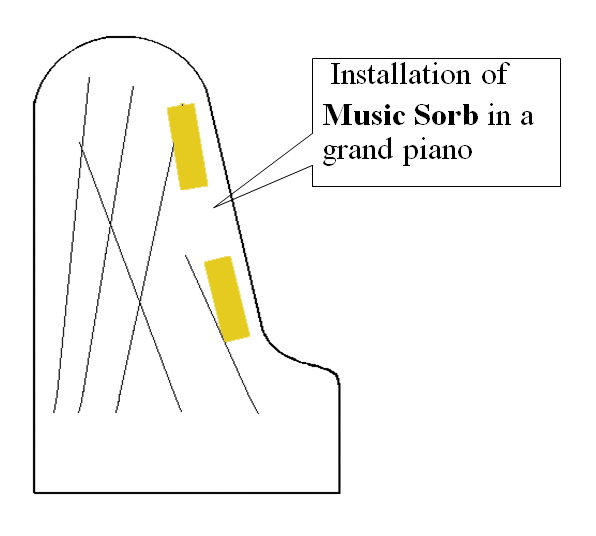 The most convenient place to put one Music Sorb unit would be on the metal plate of the piano at about the point where the rim of the grand piano curves toward the treble end. Then place the second pouch further down toward the tail of the grand piano but close to the rim. Don’t place them on the sound board because they would impede the movement of the sound board and might be inclined to rattle. Music Sorb will be most effective if the top of the piano is kept in the closed position. Music Sorb will function for a year’s time, then you will need to replace it. Clients prefer the piano pouches in their white bags, because they find them aesthetically more attractive than cassettes. They are perfectly equivalent in their action. It is just what you prefer from the aesthetic point of view. 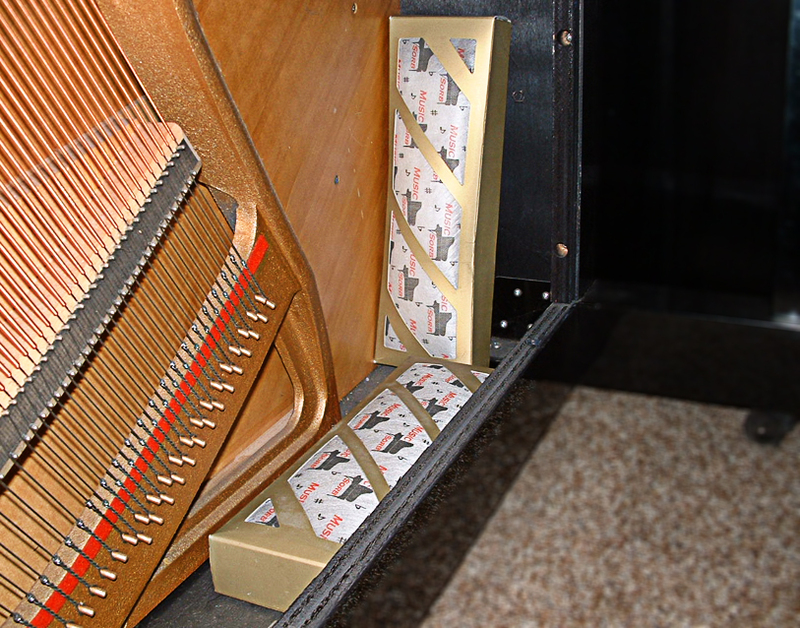 If you purchased cassettes for your vertical piano, you open the Mylar covering and slip the cassettes out. Be sure to write the date of installation (or expiration, if you prefer) on the back of each cassette and then place them in the piano. We advice to place Music Sorb inside the vertical piano behind the knee board. Most knee boards are held in place with one or two clips that are attached to the underside of the keyboard. Slip the knee board out of the way and place the two cassettes in the bottom of the vertical piano. Be sure you can see the date of installation (or expiration) on the Music Sorb cassette. Then put the knee board back in place and that’s it, you have successfully installed Music Sorb. Music Sorb in all of its variations will function for a year’s time from the time you open the Mylar bag, then the cassette (or pouch) will need to be replaced. It is not a hard and fast rule, you can just as effectively use the piano pouches, but clients prefer to use the cassettes in vertical pianos because they fit so nicely. Important Notice: Music Sorb contains approximately 30% humidity upon delivery right out of the package. If your ambient humidity is near or below 40% RH, Music Sorb will not work unless you precondition Music Sorb through one of our suggested methods (see button below). In other words, you need to load up Music Sorb so that it may release moisture. Protect your vertical or grand piano. Buy Now Music Sorb and immediately start to enjoy all the benefits and simplicity of our innovative technology that mantain stable the correct humidity range inside your piano. 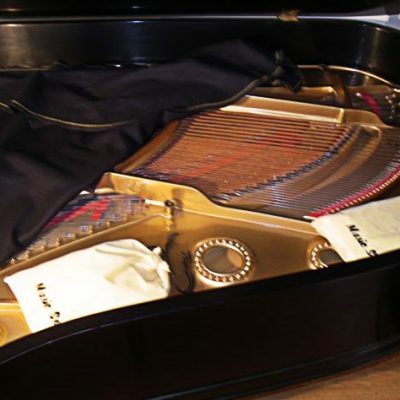 We have an experienced piano technician in our team who can answer to any question or concern. Because we value your opinion and appreciate any feedback you want to give us, we will reward you with a free shipping coupon code.